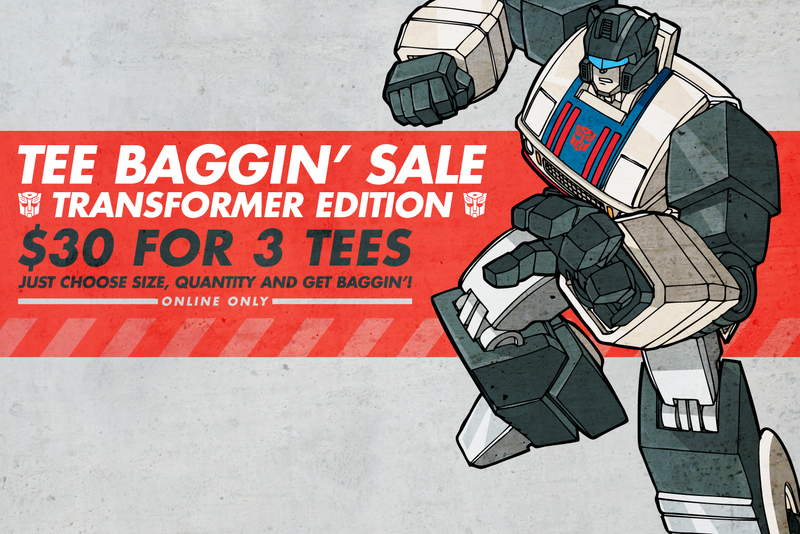 The Tee Baggin’ Sale is back, and this time it’s all about the Transformer Tees. Just as always, there you just choose your size, choose the quantity, and get 3 tees for $30! Styles are by random choice, but we do our best to make sure you won’t get any repeats. So just click the image above and go nuts!